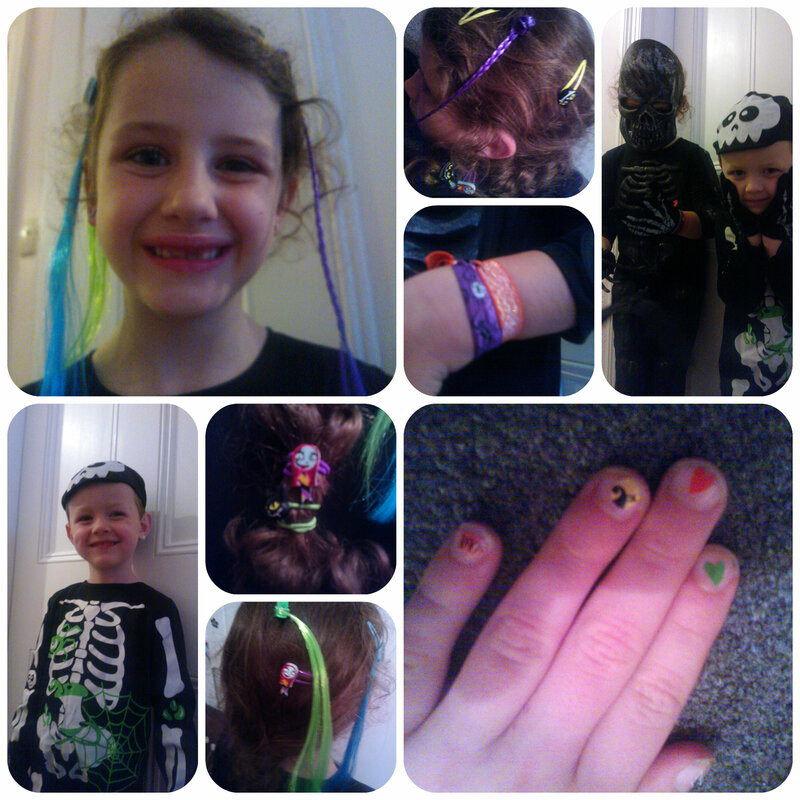 Halloween is the time of year when all little ones love to dress up and H&A have come up with some simple little hair and nail accessories that make it easy to transform yourself into a scary being! Available from Poundland they are great value and we tried some out with Miss M.
There are a wide choice of hair clips and bands from black cats, to bats and some super stretchy wide bands that are a bit different from the normal type of hair tie. We found these stayed in the hair really well and didn’t get tangled but also doubled up as wrist bands! The coloured clip in hair pieces are a great idea, simple to use and look quite effective. Being the same length as Miss M’s hair they were a good match that she enjoyed wearing. The nail stickers were easy to apply and just required a coat of clear nail varnish on the top to make them durable. 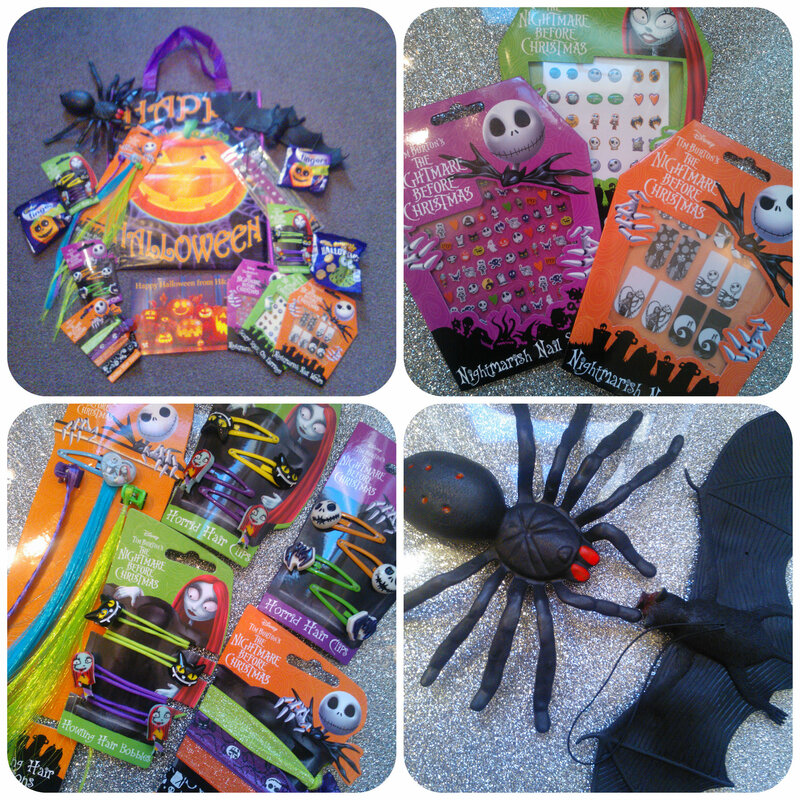 There are lots to choose from in the pack and enough to do a few times over or on several children. There are also stick on earrings which are great for young ones who don’t have their ears pierced. 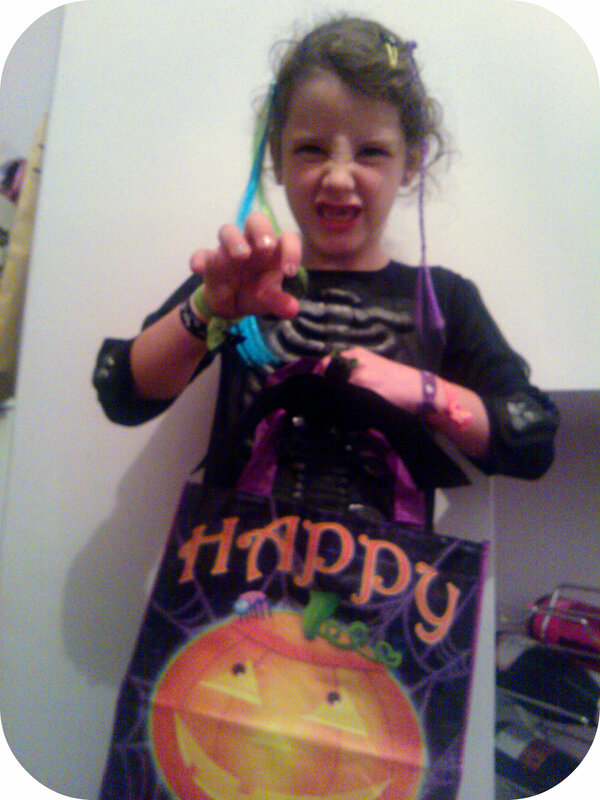 Miss M loved trying to be scary thanks to her H&A extra accessories! All reviews are my own and my family’s opinions and we received the H&A accessories in order to write the review.